Hello Again polish lovers! Today I was inspired to create something with warmer tones yet true to the inner girl. I was thinking cold weather, as it is here in Pennsylvania with night temps at 20 degrees, and hot chocolate. Yum, right?!? 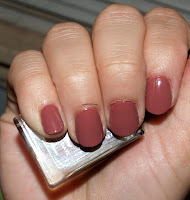 That got the wheels turning and reminded me of a gorgeous color by Rimmel London called: "Hot Cocoa". Does it get any better folks? Naturally I was now inclined beyond my will (j/k) to use this "hot cocoa" nail polish because of my hot chocolate vision on a cold night. As you can see in the picture, the Hot cocoa has a lovely brownish color with pinkish overtones in it. Always, always BASECOAT! This helps protect your nails from damage, discoloration and helps your polish adhere better to your nails and last longer. 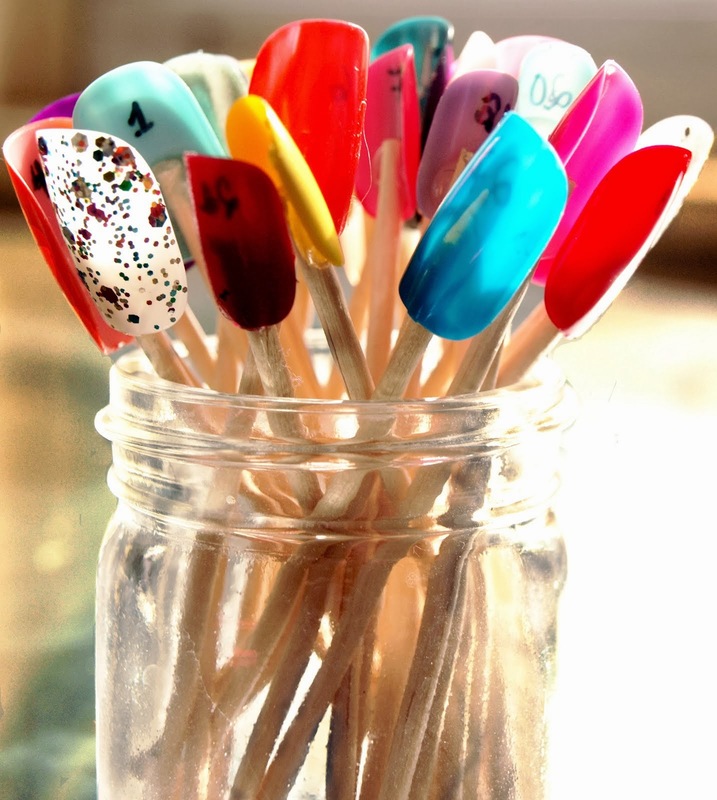 Its a total must if you are going to glaze up your pretty nails on a regular basis. AFTER using China Glaze: Strong Adhesion Base boat, I applied 2 coats of this polish to get a darker cocoa "complexion" truer to a mug of hot chocolate. This polish does go on thicker and one coat is fine but will leave your nails on the pinker side, not at all like hot cocoa. Hence why I used 2 coats. 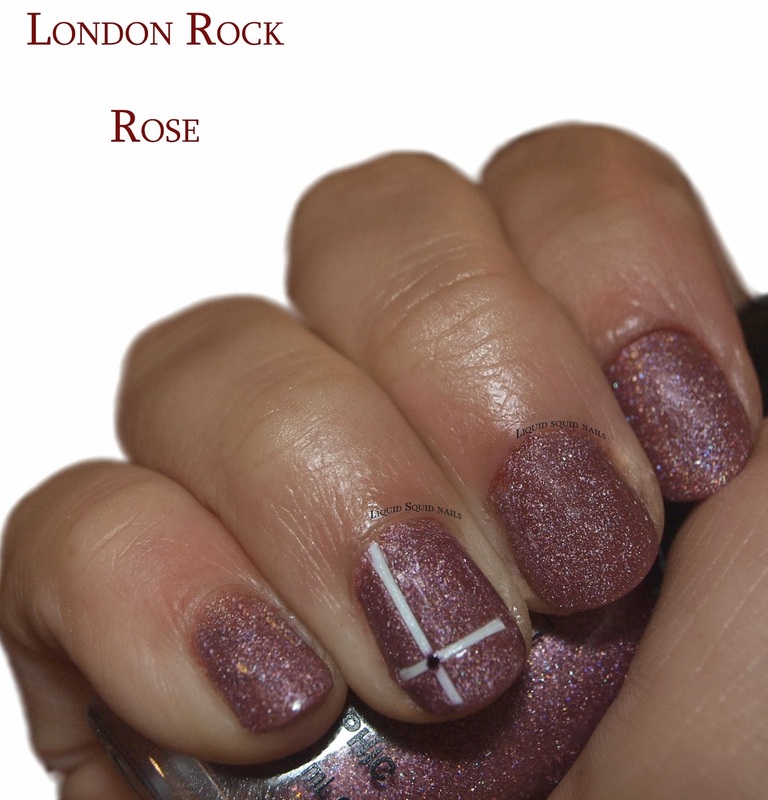 For the rose and rock effect I like to call it, I applied the GORGEOUS Milani Pink polish in 3D Holographic 513 Digital to be exact. 4. Apply Milani 3D Holographic in "513 Digital"
6. I also applied "Out the door" fast drying top coat. - Tiny Dot made with Finger Paints polish in "Shades of Dark"
Hope you can create this design yourself. If you do, please upload and show us!